Rolling hills, cathedral ruins, and stately manors all create an unforgettable experience. If you only have one day in Scotland this is how you should spend it. If you truly want to experience Scotland you need to get up early in the morning and drive about an hour south of Edinburgh to a place named Scott’s View. 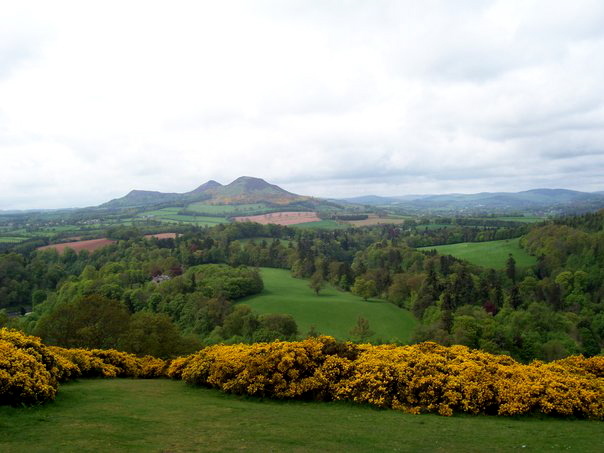 Scott’s view is an unforgettable viewpoint that gazes west across Scotland’s winding tweed to the three breathtaking peaks of the Eildons or “Hollow Hills”. This scene is forever engraved in my mind and the reason Scotland will always hold a special place in my heart. Overlooking Scotland’s rolling hills, you feel a sense of peace and contentment that can’t be explained. These are the legendary green hills of Scotland’s fame. I had been in Sc otland for 3 days, but this was the first time I felt its ancient and wise soul. 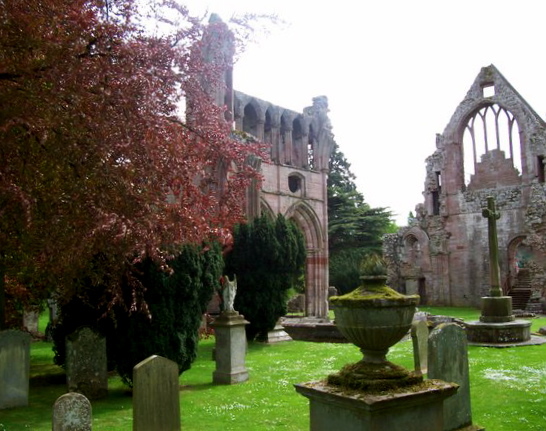 Close to Scott’s View are the beautiful ruins of Dryburgh Abbey. 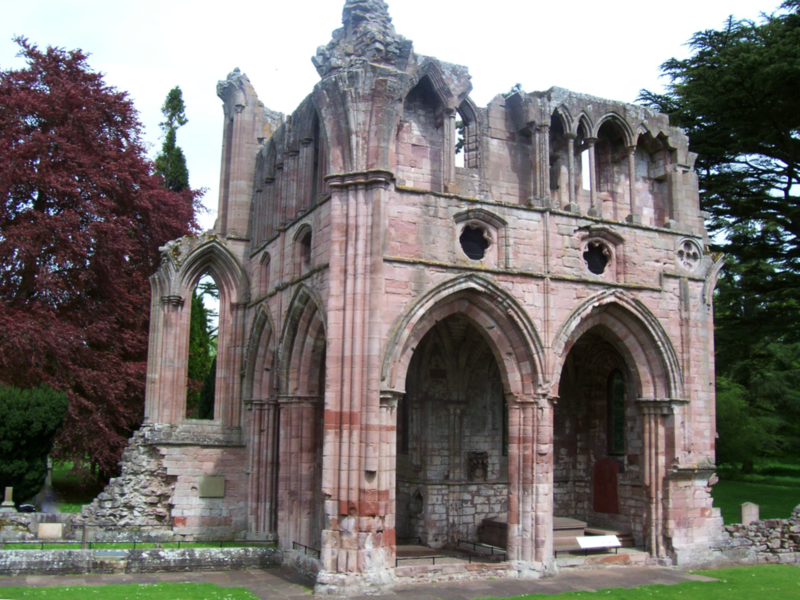 Dryburgh Abbey, the resting place of Sir Walter Scott, was one of a group of Border Abbeys founded in 1150. All that remain of this magnificent cathedral are solid walls sounded by Scotland’s natural green tweed. The once peaceful and beautiful cathedral was tragically reduced to its present condition by repeated attacks and raids by the English in the 1300s. When you wander the ancient sacred sanctuary you can’t help but have conflicting feelings of intense sadness and loss but also extreme wonder and amazement. Although you can’t see its grand cei lings and giant towers you can imagine its original magnificence. 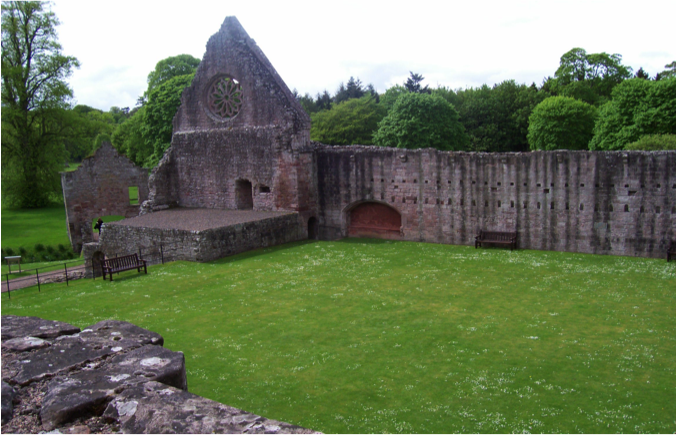 As you roam the ancient grounds you can almost hear the ghosts of the women of the abbey drifting through its courts, singing hymns, saying prayers and praising God. It is sad to think that human kind would destroy such an amazing creation, yet it is hard to imagine the Abbey any other way. Wildlife has entwined itself around the splendid structure making nature and brick complement each other in a unique and Holy way. When you look up at the ceiling instead of stone and rock you see sky and stars. This fusion of nature and ancient design creates a spiritual experience that feels as if this was the original intent of the architect. My heart was touched as I roamed around these courts. 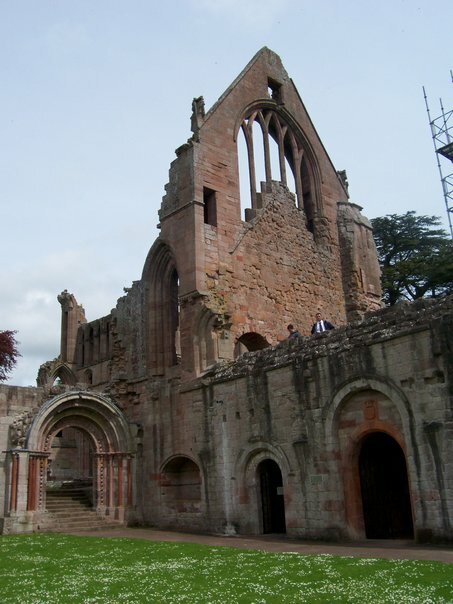 I wondered about the women of the Abbey who lived and worshiped here. I felt the pain of their loss when this majestic place was burnt to the ground, but also I felt the presence of God and His indestructible power, gentle spirit and quiet strength. Later in the day we went toured Abbotsford. 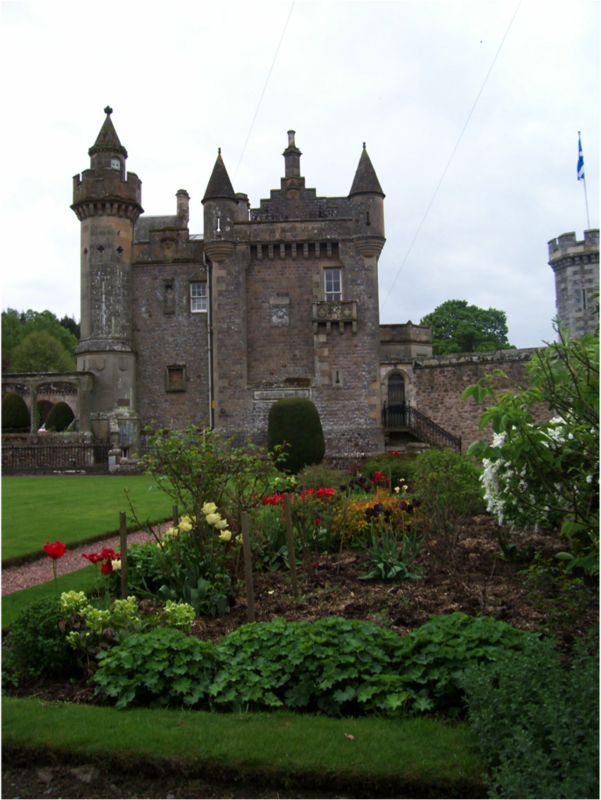 Abbotsford is the house of Sir Walter Scott. Although Castle might be a better description of this fantasy in stone typical of the man who did so much to romanticize all things Scottish. The Manson sits on a large hill and over looks the River Abbot. Its rooms are a museum full of suits of armor, furniture and other items relating to Scotland’s history. It also houses a library with over 9,000 rare books that is adjacent to Scott’s study. The tour of the grounds is almost impressive as the house itself. This house or “Castle” is one of the most interesting places in all of Scotland. It is a must see if you are in the Border Area. If you grew up in the US you were raised to believe that Castles only exist in fairy tales. In the rugged lands of Scotland, however, they are more than just hearsay and lore. 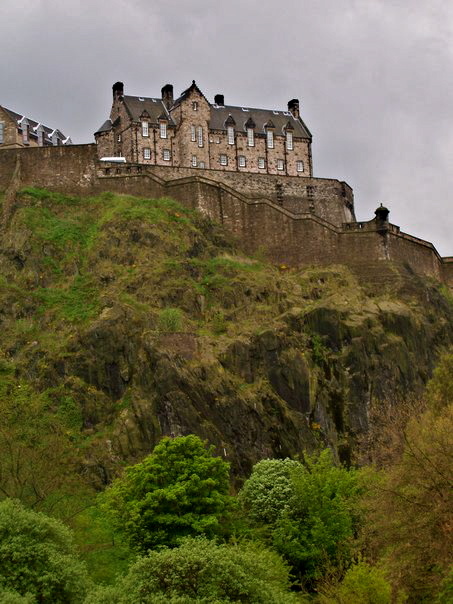 The Edinburgh Castle is an ever-present fixture and overseeing guardian of the Scottish Capital. The Castle, the fortified birthplace of the city, was built on a hillside over 1,300 years ago and there it still rests, stoically overlooking the grand capital. 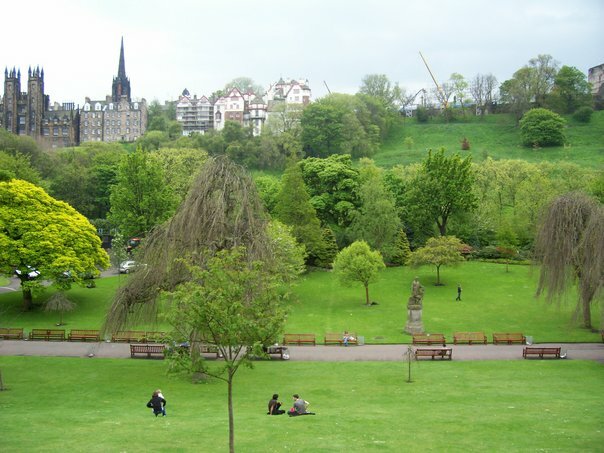 After a thorough exploration of my first Castle, its grounds, armory and the Scottish Crown Jewels, I took to the streets of Edinburgh and ended up in the enchanting and peaceful Princess Street Gardens. This public park is located in the center of the city and full of well-tended gardens, fountains, and monuments. 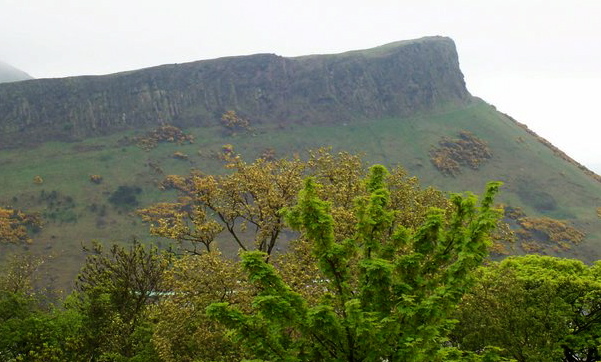 Most importantly, it is the BEST place to view the Edinburgh Castle. This is because from the gardens below you can get a full understanding of the Castle’s strength and authoritative presence over the city. As you gaze up at the watchful guardian along the rugged hills you understand that its perfect location is the reason for its 1300-year longevity. A tour of the City of Edinburgh would not be complete without seeing Holyrood Palace, where the Queen resides when she visits Scotland, St. Giles Cathedral or Carlton Hill. 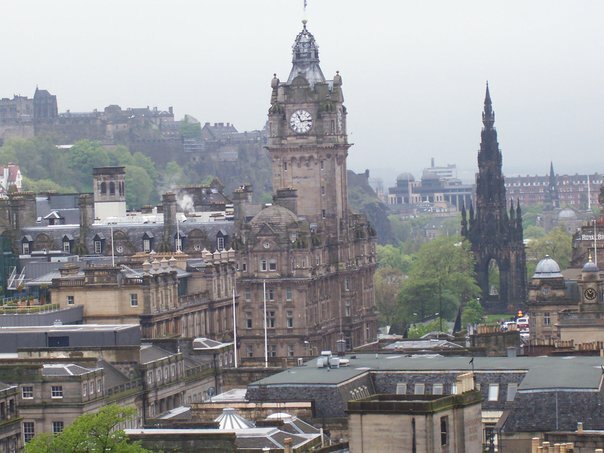 Carlton Hill is one of my favorite places because it not only houses several interesting monuments it also provides you with a fantastic view of the city skyline, including a view of the Iconic Sir Walter Scott Monument. 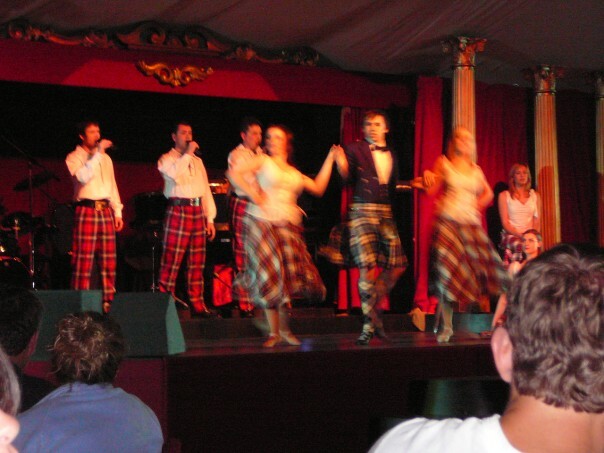 If you go to Scotland you must attend a traditional Scottish Ceilidh! A Ceilidh (pronounced Kay Lee) is a Gaelic festival or party with traditional Scottish music, dancing, kilts, bagpipes and of course Haggis. 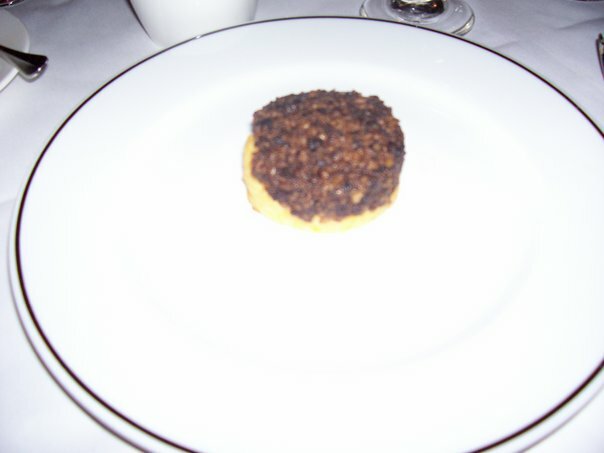 At the end of the night’s festivities after hours of dancing and eating, they bring out the Haggis. Even after all of my travels I still tell people Scotland was the most beautiful. I often wonder if this is the “first love” effect. 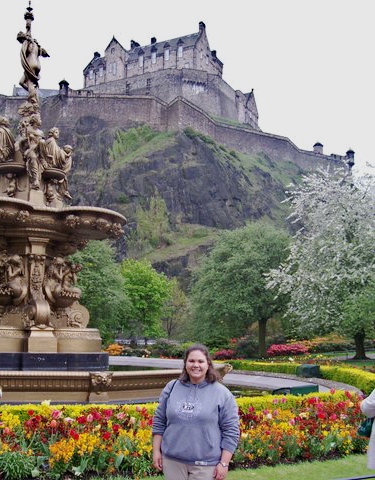 The loves of my life are my travels and Scotland was my first love. It was the first international sticker I put on my map and as such will always hold a special place in my heart. Yet, what isn’t there to love about Scotland? It has rolling green hills covered with a mystical fog, soul-stirring bagpipes, ethereal lochs, and lets not forget those accents! The trip to Scotland started with a poster…I was going to my psychology class my freshman year of college when a poster for a class on 19th century British Literature caught my eye. Believe it or not it was not the content of the class that got my heart all a flutter, but rather WHERE the class was taking place- in ENGLAND and SCOTLAND. For some reason I had a sudden indescribable passion for 19th century British Literature… Who Knew? I wasn’t really sure what the class was about when I signed up for it, but I thought I would figure that out later. Turns out 19th century British literature covers great authors such as Scotland’s Sir Walter Scott, author of Ivan Hoe and the Bride of Lammermoor, The Bronte Sisters, who wrote Withering Heights and Jane Eyre and many poets like Wordsworth. 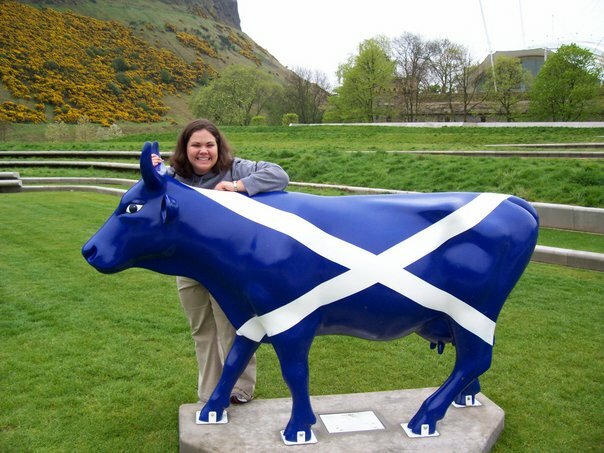 So, armed with the background knowledge provided by the novels of Scott, Bronte, and Wordsworth, I set out for Scotland with a group of 20 other IWU students on May 14th 2006. We landed in London and then took a connecting flight to Glasgow. We got on a bus and headed north through the indescribable landscape of the Trossachs. 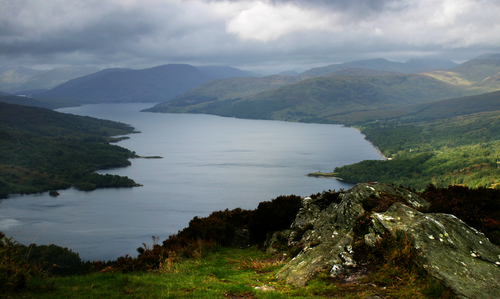 The area was full of mystical rugged mountains, lochs, and forests. As I sat there staring out the window of the bus, absolutely stunned with the beauty and somber serenity of the scenery, I couldn’t help but think of Sir Walter Scot’s outlawed hero Rob Roy who wondered through these same mystical forests and valleys. 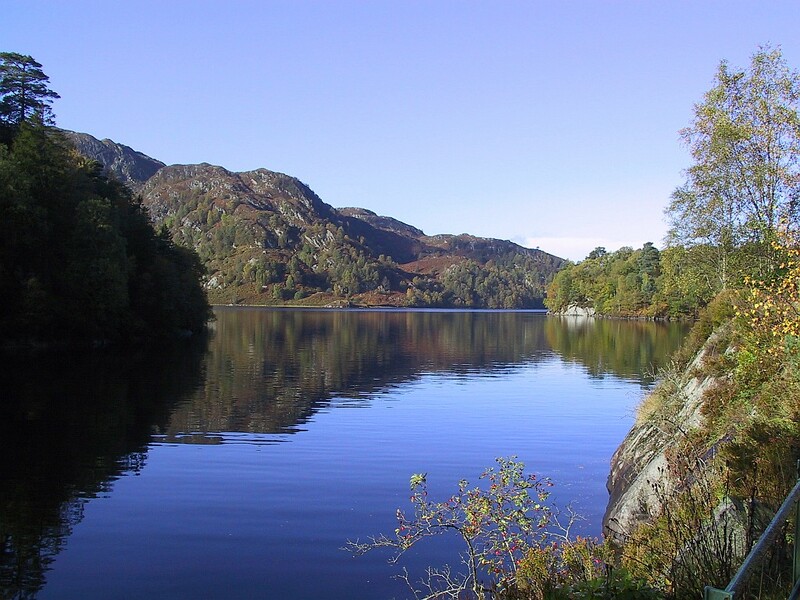 Then we turned into th e bay of Loch Katrine and I visited my first Loch. Although this one does not have a monster, it was stunning. We boarded steamer ship Sir Walter Scott and got a tour of the countryside. The tour guide told us the loch was so clear that you could drink from it. So, I decided to do just that. I leaned down over the edge of the boat cupped up my hands and drank from a loch in Scotland. Even though I almost fell in the water it was the best decision I made that day. Most people might think that drinking water from a loch on your first day in a foreign country may not be the best decision, but I ask them…can you say that you drank from a loch in Scotland? I can, it tasted amazing, and I was fine. We ended the day with a hike around the outskirts of Glasglow that gave us a tremendous view of the city and countryside. This was my first day in Scotland and I knew I had just fallen in love.